U.S. President Donald Trump was able to extract a number of concessions from Chinese President Xi Jinping in exchange for not imposing any new tariffs on Chinese goods. Trump reached a major agreement while meeting with the world’s top leaders over the weekend. At the G-20 Summit in Buenos Aires, Argentina, Trump and Xi spoke for two and a half hours Saturday night — an hour longer than previously scheduled. The meeting, which Trump called “amazing and productive,” has temporarily staved off an escalating trade war between the world’s two biggest economies. 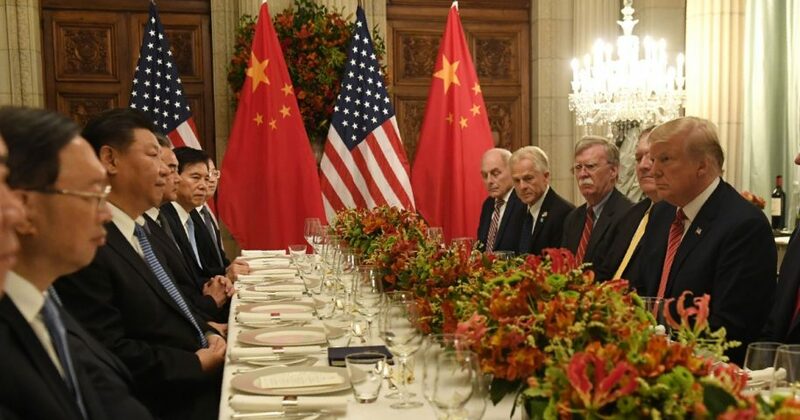 Xi agreed to immediately begin buying more agricultural products from American farmers, along with a pledge to purchase more industrial and energy products. Additionally, China has also agreed to label the opioid fentanyl as a controlled substance, making anyone who sells fentanyl to the U.S. subjected to harsher penalties under Chinese law. The labeling will help the federal government as it fights an historic death rate from opioid overdose. “This was an amazing and productive meeting with unlimited possibilities for both the United States and China. It is my great honor to be working with President Xi,” Trump said in a statement Thursday. In return, Trump has pledged to postpone a tariff increase on Chinese goods for at least 90 days. Do you think relations between the U.S. and China will improve now? The U.S. previously intended to hike tariffs to 25 percent on $200 billion worth of Chinese goods beginning Jan. 1. Instead, U.S. officials will use the 90-day wait period to further negotiate with their Chinese counterparts. Such a move will help Chinese producers who have been hit hard with Trump-led tariffs. The White House slapped the Communist country with a 10 percent levy on $200 billion worth of goods on Sept. 24. American retailers have since had to adjust and dozens of Chinese manufacturers have reported a dip in sales. Trump went on to repeatedly threaten an increase to these tariffs. Amid the 2016 campaign, Trump promised to correct the unfair trade imbalance between China and U.S., telling supporters that Americans were being taken advantage of with “very stupid” trade deals. Content created by The Daily Caller News Foundation is available without charge to any eligible news publisher that can provide a large audience. For licensing opportunities of our original content, please contact licensing@dailycallernewsfoundation.org.